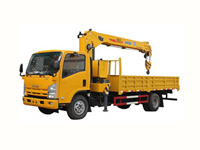 Forklift is a multi-functional, powered, material handling heavy machine, known for towing bulk between short distances. It got popularity after “World War two” as it participated in war affairs to transport luggage. Forklift is a very important equipment of every warehouse, airport, seaport, export centers and distribution centers to transport goods inside the premises or between short distances. But on other hand it is constrained to carry specific load only which is mentioned by its manufacturer varying from 1000 Kg to 16000 Kg. Exceeding that limit may lead to damage. Having the right forklift for the right job can save you time and money. They include the ability to have heavy materials moved quickly and safely to locations to store, ship or any other place. Pallets can be placed on high shelves to maximize storage space. With easy maneuverability and high load capacities, forklifts are indispensable in construction, warehouse and industrial settings. 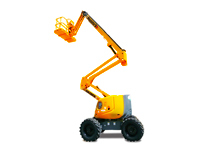 Car junction provides you with an economical stock of fully equipped heavy machinery. If you need to enquire further about cranes or any other heavy machinery so feel free to contact our online customer support representatives.